“Biofilm Formation enhances Fomite Survival of S. pneumoniae and S. pyogenes” – microBEnet: the microbiology of the Built Environment network. 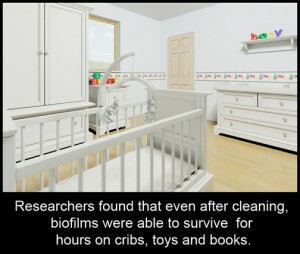 The basic gist of this story is that while Streptococcus bacteria in liquid culture don’t survive very long on surfaces, biofilms of the same organism can persist for long periods. 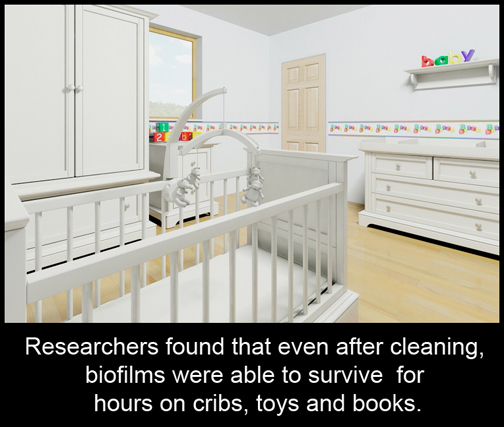 I was sort of fascinated by this because I was amazed that that no one had looked before… it’s quite well known that biofilm formation in most bacteria can enhance survival in a wide variety of situations.